We asked the BuzzFeed Community to tell us which celebrities they're shocked to learn are related. Here are the fascinating results. You know Jesse from The Social Network, and you defffffinitely remember Hallie as the Pepsi girl in the late '90s. Yup! Olivia Pope herself is related to America's former Secretary of State. Jonah Hill has two Oscar nominations under his belt (for Moneyball and The Wolf of Wall Street), and I have a feeling his sister (Neighbors 2 and Lady Bird) will soon catch up to him. 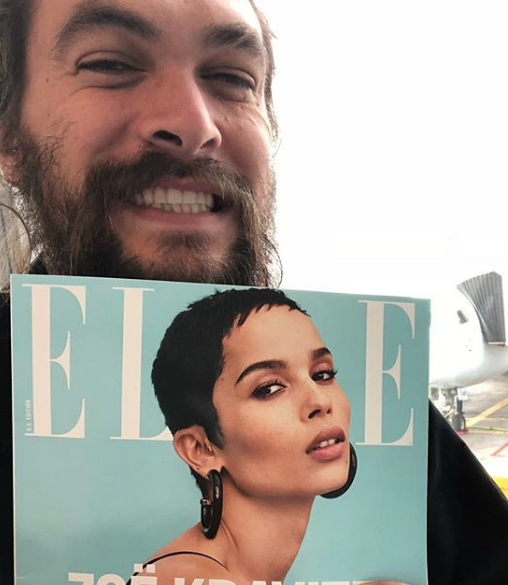 Actually, I love these Love Actually stars. 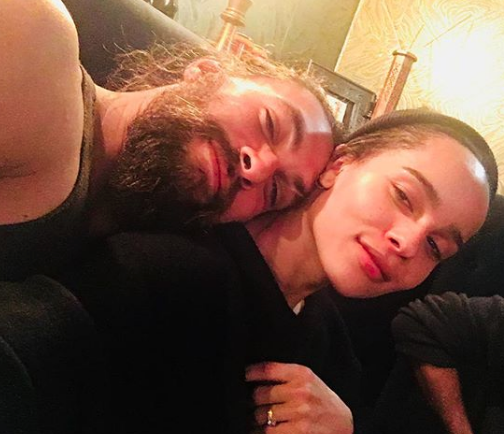 The Justice League and Game of Thrones star is married to legend Lisa Bonet, aka Zoë Kravitz's mom. AKA Cory from Disney Channel's That's So Raven and Michael from Nickelodeon's Zoey 101. Reba is the stepmother to Kelly's husband, and together they have six Grammy Awards, including 27 total nominations. Lionsgate / Trans World Entertainment / Warner Bros.
Blake is known for her role on Gossip Girl, but her half-siblings are '80s icons, with Robyn Lively starring in Teen Witch and Jason Lively portraying Rusty in National Lampoon's European Vacation. AKA Troy Bolton's dad in High School Musical! Jamie Lee Curtis is, of course, known for her roles in the Halloween series and Freaky Friday. Her Oscar-nominated parents are Hollywood royalty, with Janet Leigh starring in Psycho and Tony Curtis starring in Some Like it Hot. And they each have seven Grammy Awards to their names. Icons. Even though they have the same last name, it's kinda weird to think that Darlene from Roseanne and Laura from Little House on the Prairie are related. You know Rachel Brosnahan from The Marvelous Mrs. Maisel, and you probably own something from Kate Spade (her fashion empire is worth hundreds of millions of dollars, FYI). The Oscar winner's daughter stars in Jurassic World and the best episode of Black Mirror: "Nosedive." The American Horror Story star is the younger sister to Oscar-nominee Vera Farmiga, who you probably recognize from Up in the Air and Bates Motel. Bianca Lawson has been playing a teenager on TV for decades, recently adding a new role to her resumé: stepsister to Queen Bey. Both are Oscar winners, with 20 nominations between the two of them. You definitely know Dakota from the Fifty Shades series. Her mom, Melanie Griffith, is an Oscar nominee for Working Girl, the iconic '80s flick. Tippi Hedren, Dakota's grandmother, is still acting today, and you probably remember her from Hitchcock's The Birds. Ashlee is married to Evan Ross, whose mother is Diana Ross. You definitely know Tracee from Girlfriends and her Emmy-nominated work in Black-ish. Icons! Okay, okay, so you probably know this one already. But did you know that Julia's brother/Emma's dad is Oscar-nominee Eric Roberts? Yup. Pepper Potts's mom is actually Dina from Meet the Parents. Crazy! Between the two actresses, they have an Oscar, three Emmys, and a Golden Globe. The Saturday Night Live and Horrible Bosses star is related to Norm from Cheers. You know Billie from Scream Queens, but her late mom will always be known as Princess Leia (and a fantastic writer), and her late grandmother will be remembered as Kathy from Singin' in the Rain or Aggie Cromwell from Halloweentown. And Maya's re-creation of her mom's famous album cover for Perfect Angel is truly perfect. And both of them have a Golden Globe Award: Mariska for her work in Law & Order: SVU, and Jayne for her work in The Girl Can't Help It. Charlie Hopper from Two and a Half Men and Coach Gordon Bombay from Mighty Ducks are brothers, and their dad is Martin Sheen! Sure, the last name gives it away, but it's still wild to think that Temperance Brennan from Bones and Jess Day from New Girl are siblings. Talent runs in this family, with 29 Grammy nominations between the three of them (i.e. just Snoop and Brandy). They have six Oscar nominations between the two of them, including two wins (Jolie for Girl, Interrupted and Voight for Coming Home), and Jolie has an additional Honorary Oscar. You know Phil Collins as an eight-time Grammy Award winner (and the reason you always bawl your eyes out during Tarzan), but his daughter is a Golden Globe-nominated actress who you probably know from The Blind Side, Mirror Mirror, or Stuck in Love. The Saturday Night Live alum is a staple in Adam Sandler films, and his daughter is a famous singer who has three Grammy nominations under her belt. Ashley is a two-time Golden Globe nominee, while her sister has four Grammy nominations. You know Anthony Perkins from Psycho, and you'll probably recognize his son as Dorky David from Legally Blonde. Want to be featured in similar BuzzFeed posts? Follow the BuzzFeed Community on Facebook and Twitter!